When a couple shows up in the therapy room it's usually as a result of many years of struggling and is often a last ditch attempt to save the relationship. This workshop will examine how couples end up in this place from an Imago Relationship Therapy perspective and give practical ways of restoring love, hope and connection. Joanna Groves is a psychotherapist practicing in Manchester. 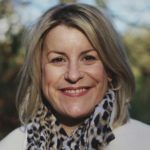 She co-presents "Getting The Love You Want" couples therapy workshops with her partner, Ian Tomlinson and has a special interest in working with couples and teenagers. In this workshop we will be looking at the dilemmas and dangers surrounding times in our clinical encounters when patients begin to hope. 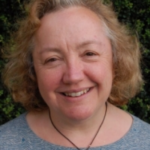 Kate Brown is a Bowlby Centre trained UKCP registered Attachment based psychoanalytic psychotherapist who started her career in therapeutic communities working with adults with a variety of mental health difficulties, and with adolescents individually and in groups. She has worked with young mothers and in mainstream community psychiatric services with patients' families. She has also provided time limited therapy with former servicemen who had experienced complex trauma. She teaches at the Bowlby Centre and has also delivered freelance training. Kate completed an MSc in psychotherapeutic approaches in mental health in 2012. 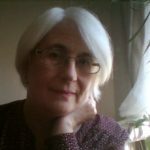 Kate is a member of the Attachment journal group, former chair of the clinical forum at the Bowlby Centre and PhD candidate at Middlesex University psychoanalysis department in the history of the therapeutic community movement and the treatment of trauma. Kate is in private practice in Bournemouth. Love and Fear. Why does the child seek the person who can hurts them the most? Understanding the impact of abuse on attachment. Aims: The aim of this workshop is to explore the impact of abuse on attachment. Establish the attachment behaviours of the child and adult with disorganised attachment. Examine how it manifests in the therapeutic relationship in terms of the transference and counter-transference. Explore issues of idealisation in the therapeutic relationship. The workshop will be both didactic and experiential. Marilyn Wright PTSTA (P) qualified as a CTA (P) in 2003 and has been a PTSTA since 2007. She is a member of the Exam Committee, jointly responsible with Julia Tolley for providing training for markers of the written CTA (P) exam. She was Chair of AAC from 2014 – 2017. Working with addictions from a relational & developmental perspective incorporating the principles of forgiveness and hope. David Hoskins is a Integrative Psychotherapist & Addictions Counsellor working in private practice in Stratford Upon Avon, Warwickshire. 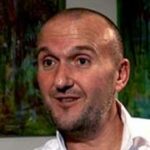 He has a BSc (Hons) in Addictions Counselling from the Centre for Addiction Treatment Studies (University of Bath) and an MSc in Integrative Psychotherapy from The Sherwood Psychotherapy Training Institute in Nottingham. 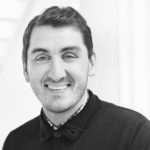 Having worked In various treatment settings with diverse client groups, David has a wealth of experience working with addictions and holds a special interest in how relational and developmental failings often appear to contribute towards the development of addictions. David is also interested in the correlation between addiction, trauma and the regulatory functions that drugs and alcohol provide. Have you had a wobble about whether this is the right career for you? Are you conscious of your motivations for doing this job? What is going to help you ‘stay the course’? How far do you want to go on this career journey? We will look at the factors which may cause the high level of attrition in our industry: from the initial altruistic/vocational beginning to discovering how this profession is recognised, regulated and paid. To the challenges facing psychotherapists further along their journeys: burn-out; trauma; isolation; financial renumeration. Integrating several TA and non-TA theories – we will look at different types of motivation to work, and how these change through the career lifecycle. We will discuss some of the challenges that cause the high level of attrition in our profession and how we can successfully navigate these to stay the course (if we are motivated to do so). This workshop is for trainees, contractual trainees, qualified psychotherapists, and supervisors/trainers (whose motivation might be to assist others in staying the course! )..
Susie Hewitt MSc, PTSTA(P), UKCP Reg, MBACP Accred. Susie has a thriving private practice working with families, couples, individuals and groups. 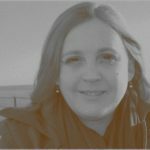 She is a UKCP Registered Clinical Supervisor, a Primary Course Tutor at MIP and a visiting trainer at other Psychotherapy Training Centres. Prior to training as a psychotherapist, she spent 15 years selling software solutions to Top Times 100 companies. The Islamic theory of personality based on Islamic concepts of the heart (Qalb), self (Nafs) and soul (Ruh) will be presented in relation to TA and mainstream psychotherapy. Highlighting resourceful ways of integrating TA concepts with Islamic Psychology to aid the therapeutic process to ‘open channels of communication’ when working with Muslim clients. Emphasis will be on the relationship between the intrapsychic process, changing world events and global connectivity. For practitioners to gain a better insight when working with Muslim clients. Promote inter-group Okness through awareness, discourse and dialogue. 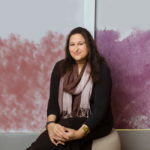 Uzma Khan is an experienced practitioner who has worked in mental health for over 15 years helping a variety of clients suffering from a range of psychological and psychosocial issues. 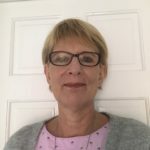 She has worked with MIND in Bradford and New MIND Counselling Service (NMCS) formally part of North Kirklees MIND for ten years where she is the Deputy Chair for the board of Trustees. Present partnership works is with Ihsaan (Ihsaan.org.uk) which is the first specialised psychotherapy and counselling service in Britain that provides psychological therapies compatible with Islamic psychology. This is a holistic integrative service that is language appropriate, culturally and spiritually sensitive and caters to the needs of Muslim clients suffering from mild to moderate mental health issues in Bradford and West Yorkshire. Uzma’s interests include working in a TA and integrative framework. The ethos driving her work is that healing comes from awareness and change. Bsc (Hons) Psychology, Diploma in TA (Transactional Analysis) psychotherapy, registered member of UKATA (United Kingdom Association for Transactional Analysis). Trauma, particularly many layered trauma, leads to fragmentation of memory, and working with these fragments can be frustrating for client and therapist. Dissociation, a healthy reaction during trauma, means that the body tissues hold the experience while the cognitive mind is in shut down. Some memories return with a rush during therapy, but without sequence or pattern. The client feels as if they are adrift with no certainties to hold on to, or that they are going mad. The therapist can feel disempowered, since little in the theory books guides us to a ‘treatment plan. The therapeutic relationship in these circumstances resembles two people moving forward in the dark, being battered from all sides by the fragments of the trauma, and hanging on to straws of understanding. We will explore in the workshop various approaches and consider the usefulness of these theories in creating some light in the dark, and the role of hope, forgiveness and compassion for therapist and client. The workshop will be a mixture of teaching, discussion and experiential, but above all hopeful and compassionate. 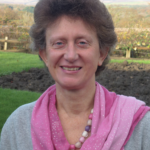 Enid Welford is a Teaching and Supervising Transactional Analyst with a practice in South Manchester. She worked in mental health for many years and learned from her clients. She has a great interest in intergenerational trauma and its impact on family systems. With regard to trauma she has learned a great deal from the courage of her clients. This workshop is in their honour. This workshop will continue the dialogue of Hope in the Therapeutic Relationship from Dr. Lloyd’s earlier keynote speech. Research confirms that directly referring to Hope by the therapist is not always effective. The therapist needs to find a way of containing and conveying Hope for the client. Metaphors of Hope have proved to be an effective way of projecting Hope. In this workshop, Dr. Lloyd will investigate and explain this subject, provide case studies, and facilitate opportunities to experience and work with Metaphors of Hope. In this work shop I will explore the nature of compassion and its relevance in the therapeutic relationship. How we can recognise the lack of compassion within the clients frame of reference. I will be specifically looking at neurobiology and how early development of the brain plays a crucial part in developing compassion. Stephanie Cooke PTSTA. My experience in the caring profession began in the 1980’s when I worked as a child and adolescent counsellor and social worker. In the early 90’s, I became a Psychotherapist and joined the Manchester Institute for Psychotherapy. I am now a co- director of the Manchester Institute. I have a private psychotherapy and supervision practice. I am also a trainer on the four year Integrative psychotherapy programme at MIP. Working with refugees and asylum seekers can be subtly different from mainstream therapeutic work. In this engaging and interactive workshop, two therapists with considerable experience of working with refugees share what they have learnt about the joys and challenges involved and the skill sets they have developed. The workshop is aimed at people who may have little or no experience of working with refugees and asylum seekers but who are interested in finding out more, and building their confidence to work with this important group. 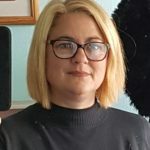 Kate Graham is a UKCP accredited integrative psychotherapist working with Solace surviving exile and persecution, a specialist refugee mental health charity based in Leeds, and a small private practice. She has worked in a variety of roles with Solace over the last six years, working with adults and most recently with children and young people resettled from Syria. Alongside this she has worked in a primary school and two secondary schools. 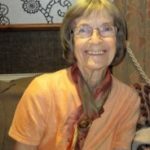 Prior to becoming a psychotherapist Kate worked in international development, living and working in East Africa, Ethiopia and India, and as a consultant and trainer in fundraising and evaluation frameworks.